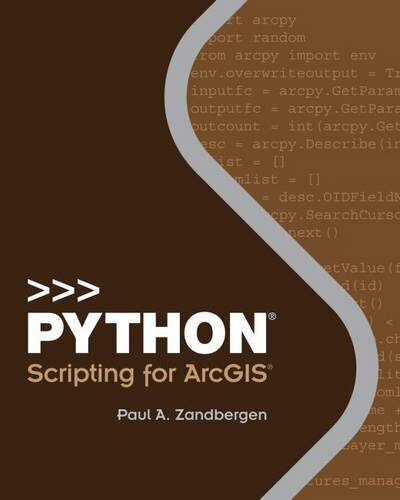 Python Scripting for ArcGIS is a guide for experienced users of ArcGIS Desktop to get started with Python scripting without needing previous programming experience. Experience with other scripting or programming languages (Perl, VBA, VB script, Java, C++) is helpful but not required. Readers are expected to have good general ArcGIS skills and a basic understanding of geoprocessing procedures. There are 14 chapters with corresponding online data and exercises available on the Esri Press book resource page at esripress.esri.com/bookresources.